A perfect weekend pastime, geocaching is gaining in popularity all over the world. Whether you’re enticed by the strong community feel, the chance to get out in the great outdoors or simply want something fun to do with the family on a Sunday afternoon, we’ve got all you need to know about one of our favourite activities. Here’s all you need to know about your soon-to-be favourite hobby. Geocaching is an outdoor activity in which players use GPS technology to search for geocaches. These are hidden or camouflaged containers placed all over the world by other members of the geocaching community – usually filled with knick-knacks and small items. Geocachers obtain the coordinates for caches and log their findings – a bit like a modern day, high-tech treasure hunt. While we will go into more detail about the specifics of geocaching later on in this guide, the basic premise as follows. Players register on Geocaching.com, the most popular geocaching website, enter their postcode and obtain coordinates for geocaches around them. The geocache pages may also include extra information, photos and difficulty rating. Geocache members then navigate to this certain set of coordinates where geocaches are hidden, using their smartphones or other GPS devices. Once the geocache has been found, users can trade items and log their findings, both online and in the logbook which is most likely inside the geocache. Thinking that this sounds easy-peasy? Traditional geocaching certainly can be, but there’s a lot more to it than just hunting down Tupperware boxes! With a whole load of extra challenges and components to this game, geocaching is a great activity to get into – as you can make it as easy or as challenging as you like. Where did Geocaching Come From? Geocaching was first coined on May 2nd, 2000. On this day, tens of thousands GPS receivers around the world received an instant upgrade, after a switch controlling selective availability was pressed. 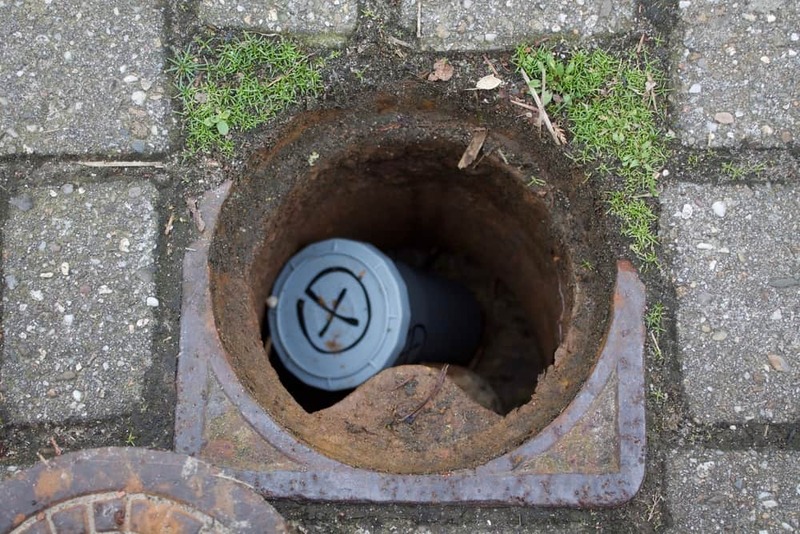 This allowed anyone with a GPS device to precisely pinpoint their location or the location of items left behind, for later recovery. The first geocache was planted in Seattle, with the concept rapidly gaining popularity on various internet forums until it was finally made into a website. Now, there’s around four million active geocachers all over the world, with one million based in the United States alone. Safe to say that geocaching has become quite popular over time! 9 Reasons to Try Geocaching! If you’re scratching your head struggling to grasp the point of geocaching, or perhaps thinking it’s not for you, we’re here to prove you wrong. Not only is getting involved in something like geocaching a fantastic way to get out the house and engage in something new, it’s also got whole load of other benefits that come from having a new hobby. Here’s our top reasons why you should give geocaching a go! First and foremost, geocaching is fun! It’s a way to embrace our inner child without looking like fools, hunting for hidden treasure all over the country. Even better, it can be done anywhere! 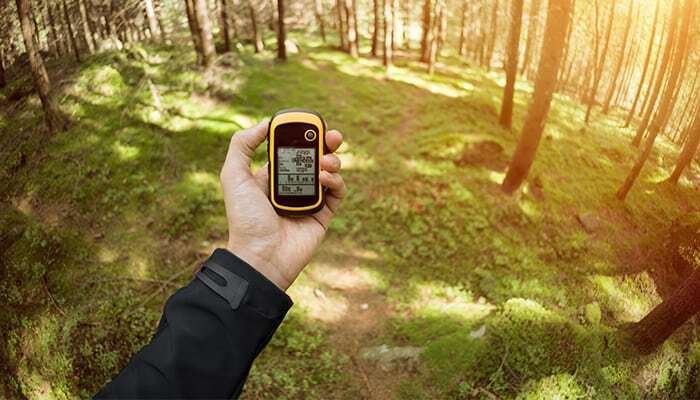 Geocaching is now a global phenomenon with caches hidden all around the world – providing the perfect opportunity to explore a new place and get out and about. We mean no offence when we say that as a nation, we are a lazy bunch. It’s estimated that 80% of American adults do not meet the government’s recommendations for aerobic activity. If bicep curling in a gym isn’t your thing, the great outdoors just might be. Geocaching is exercise that doesn’t feel like exercise. You’re not groaning through squats or trying to numb the treadmill induced boredom, you’re hunting for hidden treasure. And in our eyes, that can only be a good thing. There’s something to be said for getting outside in the countryside to somewhere you may not have ventured otherwise. Many cache-hiders will deliberately place their caches near great views, a nice little reward for all your hard work! Hiding your own geocache is the perfect way to get creative. Fill it with knick-knacks, camouflage it the way you like, and spend some time scouting out the perfect hiding place. So many of us don’t have a creative outlet in our everyday lives, and geocaching is a great way to release this creative energy. Geocaching as a family is the perfect way to spend a sunny Sunday afternoon. It’ll get you outside in the fresh air, help you to bond with your family members and might even get the kids away from the video games! While family members may be dubious at first, we can assure you that once you get started, they’ll be just as enthusiastic as you are. Many people talk about starting a new hobby but are put off by the costs of expensive membership, equipment or lack of time. Geocaching is a hobby that you can literally do wherever in the world and doesn’t involve equipment or expensive memberships! While there is a cost if you want access to premium features, the hours of fun as well as access to a geocaching community that spans globally makes the small price totally worth it. There’s something authentic and rustic about trekking through the woods or country to find hidden treasure. Yes, it requires the use of technology so it’s not quite the same as the caveman days, but in a world where we can access whatever we want at just a click of a button, geocaching is a highly rewarding pastime. A bit like cooking over a campfire instead of heating up a ready meal in the microwave! Geocaching provides a sense of mystery, excitement and adventure – something many of us miss out on in our day to day lives. Joining the geocaching community is a fantastic way to meet and engage with likeminded people, bonding over your shared hobby. Most geocaches will include a logbook meaning you can write messages to the other people who find it and read what others have said. There’s not many other hobbies that offer access to such a huge community – you might even make some friends! If you can’t quite bear to get rid of the beer bottle keyring you bought in Cancun back in 2007, put it in the cache! The rule of geocaching is to make sure you trade items of a similar value. Don’t fancy your bouncy ball but could do with a miniature comb? Trade it! Alright so we’re not sure anyone ever needs a miniature comb, but we’re rolling with it. These days it’s all too easy to stay cooped up all day. We can order food from our phones, entertain ourselves for hours watching kitten videos on YouTube (No? Just us?) and even find out where our cousin’s roommate’s brother went on holiday in 2009. Yes, smart technology is a great invention, but scrolling through social media can be isolating- not to mention an arguably pointless use of our time. Engaging in a new hobby like geocaching which gets you outside into the fresh air is one of the best things you can do for both your mental and physical health. Tempted? We’re glad to hear it! While the geocaching community is generally incredibly supportive and great to be a part of, we recommend getting clued up on some of the rules before you dive in! 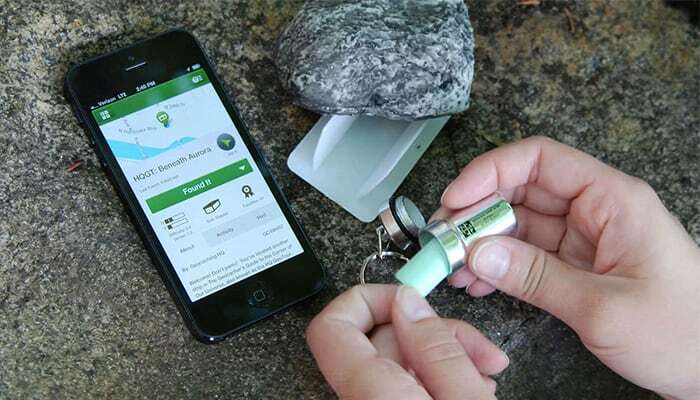 We already know that geocaching is a real-world treasure hunt, with the aim to use GPS technology, such as a smartphone, tablet or other GPS unit, to search for hidden geocaches all around the world. But there’s more to it than that! Typical geocachers are small containers, however their size and contents can vary hugely – although traditional geocachers usually contain low-value toys, trinkets and knick-knacks. Those who hide geocachers note the coordinates and list their cache on a geocaching website. Details of the location, difficulty rating for both the terrain and hiding place, as well as the coordinates and occasionally photos, are placed on the cache page. Other geocache members search for caches around them, obtain the coordinates and use their devices to find the geocaches. Most caches contain a logbook. Players open the geocache and record their findings in the logbook. They can then take items from the cache and replace them with something of similar or higher value – so there is always something in there for the next person who finds it. Players record their findings in the logbook and can have a look to see what others have said (there’s a set of acronyms that those in-the-know will use – we will go into more detail on these later!). Players then log their findings online on the cache page – notifying the owner if they could not find the cache, or if there was something wrong with it. If you cannot find the cache and believe it has gone missing, log the cache with a ‘Did Not Find’ tag online. If you hide your own cache for other geocachers to find, ensure you don’t break any of the guidelines – more detail under ‘Hiding Geocaches’. Most geocaching websites allow you to access basic features for free. This includes access to the coordinates and pages of both traditional and event caches, with easy difficulty and terrain rating – perfect for beginners. These free memberships will also allow you to get in touch with other geocachers and become a part of the geocaching community. To unlock more advanced features, you may have to pay a premium, although this is relatively inexpensive. Prices vary depending on the website and the region you live in, but it’s usually around $30 per year. You can also send the gift of a membership to a friend or family member, or many geocaching websites offer a 30-day free premium trial. Premium features include access to advanced geocaches, mobile access, advanced search, offline maps and the ability to identify caches along a particular route – a great option for the seasoned cacher who fancies a new challenge. If you’re just starting out with geocaching, we don’t recommend parting with any money. 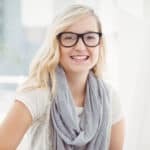 However, if you are a seasoned cacher and want to take your hobby to the next level, paying for a premium membership is a relatively inexpensive way to unlock great features and have even more fun. What Equipment Do I Need For Geocaching? As we mentioned before, geocaching is an extremely cost effective activity, one of the reasons why we love it! If you aren’t planning on hiding your own geocache (which we will go into more detail about later), then all you need is a membership to a geocache website, a good GPS device and internet access to record your findings! Follow the link for my guide to the best GPS for geocaching. Other recommended items include comfortable walking shoes and snacks for the road! To find a geocache, obtain the coordinates and any other location information from the website, input it into your GPS device and get cracking! It really is that easy. Geocaches are likely to be camouflaged and hidden – some are easier to find than others! There will be details online to help you out – the size will be shown on every cache page. Micro caches are less than 100ml, small are 100ml-1l, regular are 1l-20l, large are 20l or larger. There will also be other details available to help you figure out where the cache is. There’s many types of geocache to find, some easier than others! Here’s the most common caches and the ones you might want to look for as a beginner. Traditional – Your bog-standard geocache! These will be varying sizes and contain a logbook and knick-knacks. Mystery or Puzzle – These add an extra challenge to geocaching, with complicated puzzles which must be solved before you can access the coordinates! Multi-Cache – These involve two or more locations and the final location will contain the logbook. Usually you will get a clue to find the second state once you reach the first stage and so on. Event Cache – A gathering of local geocachers or organisations. Coordinates are posted online. A great way to meet like-minded people. Mega-Event Cache – Events attended by over 500 people. There’s usually a day of planned activities as well as various activities on the surrounding days. A lot of fun! Letterbox Cache – Another type of caching is letterboxing. This uses clues instead of coordinates. Full details about letterboxing can be found here. Earth Cache – A cache located in a geological location which helps players to learn about a certain feature of the earth. Fantastic for those who want to use geocaching to learn slightly more about the planet. Find out more here. I’ve Found the Cache… What Next? Congratulations! Take a moment to savour your victory – especially if it’s your first find! Then take note of where the cache is hidden and placed, it’s important to put it back in the same place (or as close to as you possibly can). Inside the cache container you will find the logbook which is likely to be placed in a clear, plastic bag to prevent it from getting damaged. Have a read of other geocachers adventures, and then note down your own! Make sure you write the date, a few sentences about your journey finding the cache, what you took from the geocache (if anything) and anything else of interest. Swap out any items that you like the look of with something of similar or higher value. After you’ve signed the logbook and traded anything you want to trade, it’s time to head back to log your finding online – or, if you’re a keen-bean, try to find another cache! Before you leave, make sure the container is sealed properly and put it back where you’ve found it. Check you haven’t left anything behind and, if you left any, cover your tracks to not spoil the fun for other geocachers! Then head home with a sense of satisfaction, and log your finding on the cache page online! If there are any problems with the cache or you believe it may have gone missing, either log this or message the owner directly. What’s the Deal with Trackables? Trackables are physical items that are moved from cache to cache and tracked. Users can set goals for their trackables, and common items include geocoins, travel bugs, tags or other small items. Trackables will have goals assigned to them, for example reaching a certain city, state or even travelling to another continent! If you fancy becoming a part of the trackable’s journey, remove the trackable from the cache and, once you get home, enter its tracking number online (this will likely be found on the side of the item). You will then be able to see the goal of the trackable. Be sure to log that you have taken it. Try to move trackables along to the next cache within 2 weeks of taking them. You do not have to trade anything in for it, but please try to only take a trackable if you are willing to help it achieve its goal! If you want to help get a trackable moving then go for it! It’s entirely optional however. If you don’t want to move a trackable along that is absolutely fine – just treat the other items like you would a normal cache. Log that you have retrieved the trackable from the cache online as soon as possible. This lets the owner know that it is moving along! Keep monitoring the trackable, to see how close it gets to reaching its goal! Anyone can hide a geocache, although we recommend finding a few geocaches yourself first. This will ensure you know what types of geocache there are including what works well and what doesn’t. Various hiding guidelines can be found at Geocaching.com. The most important things are to make sure you have permission to hide a geocache at that location, to make the geocache accessible, and to ensure you don’t disturb any wildlife. We recommend reading the full list of guidelines before you get started, and Geocaching.com also provide a quiz you can take, to check that you’re ready to hide your first cache. So, you fancy hiding your first cache? Here’s where to begin. Our favourite geocaches are the ones found at the end of a nice walk, perhaps hidden near a great view or near something of historical or natural interest. Spend some time finding the best spot near you, and make sure to check it’s not near any other caches – the Geocaching guidelines will provide the exact details of how far each cache should be from another. Make sure you have permission from the land owner – angering a farmer is never a good idea! Containers should be both durable and waterproof, although you can choose the size and shape. Old food containers should be avoided, as any lingering smells can attract wild animals. Cache containers should also be non-threatening. Don’t use anything that could be confused as something dangerous. Make sure you clearly label your containers or, better still, choose a transparent container meaning the contents can be easily seen. Common choices are boat supply containers, film canisters or micro containers made from day to day objects like golf balls. If it’s your first time hiding a geocache, a clear, plastic container is our recommendation. Essential items include a logbook or logsheet with a writing implement. The rest, really, is up to you. Trading cards, keychains, small toys, compasses, balls, puzzles, games, cookie cutters – the list is practically endless. If you’re struggling for ideas, there’s a bunch of information online to help you fill your cache. There are a few things that should never be put into a geocache including food, soap or other scented items, or anything dangerous. People of all ages partake in geocaching, so everything you put in your cache should be suitable for both adults and children alike. Once you have found your spot and filled your geocache, it’s time to get it listed. Disguise and hide your cache (not by burying it! ), and wait a few moments while your GPS settles on your location. Download the coordinates, and your geocache is ready to be listed, found and enjoyed! Get a little creative when you hide your geocache. 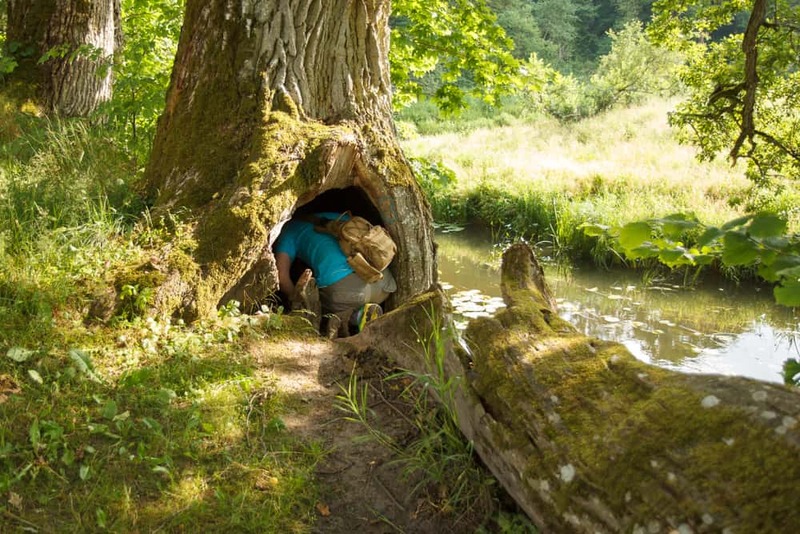 You can set the difficulty rating on your cache page, but if it’s your first time hiding a geocache we recommend testing the waters with something a little easier. Hunt for a few geocaches first so you can get an idea of the best places to hide them. Head to any number of the geocaching websites to list your cache. Here you can create a cache page, where you can inform users of coordinates and any other useful information. It might also be helpful to take pictures of the area, if you think your cache is quite difficult to find. Sign up to any geocaching website to get started. If you’re a total beginner, geocaching.com is the largest and most popular geocaching website, although there are plenty others. Create an account, the basic membership is generally free, and get hunting! Alright, so there’s quite a lot to know. To avoid feeling like you’ve been thrown in at the deep end, here’s a quick glossary of terms. Muggle – Muggles are people who are not members of the geocaching community and may stumble across the cache accidentally. Harry Potter fans won’t need an explanation! If a cache is missing, it may have been ‘muggled’. SWAG – The items inside the geocache. An acronym for Stuff We All Get. FTF – First to Find. Use if you are the first one to find a newly hidden geocache. Bragging encouraged. DNF – Did Not Find. If you haven’t been able to find the geocache, log it online with a DNF tag. Many DNFs in a row may indicate that the geocache has been ‘muggled’ or is missing. Contact the owner if this is the case. TFTC – Thanks For The Cache. A lot of effort goes into hiding caches! Show your gratitude with a TFTC tag. CITO – Cache in, Trade Out. Eco-warriors unite! This type of geocaching involves picking up trash as you hunt! TNLN – Took Nothing, Left Nothing. The cacher didn’t take any swag from the cache, nor leave anything behind. BYOP – Bring Your Own Pencil. We recommend doing this anyway! Hitchhiker – Also known as a trackable. Whether hiding or hunting for a cache, it’s important to have permission from the land owner and, if you’re a minor, a parent or guardian. Hiding a geocache on someone else’s land is a big no-no, and even if you obtain permission, ensure the land owner is aware that there will be others hunting for the cache and not just you! Muggles can struggle to understand geocaching so don’t take it personally if people are a little sceptical about your new hobby. Alas, much as we hate to admit it, Mother Nature isn’t always on our side. Whether it’s adverse weather, dangerous animals or slippery slopes, it’s important to know of any risks and ensure you prepare for all scenarios. While geocaching abroad is a great way to get to know a new area, we would advise against exploring somewhere totally new without informing someone of where you are going first. Although heading out in a thunderstorm may add to the sense of adventure, it’s not particularly safe! Best to stay inside with a cup of tea instead. We’re not here to tell you how to dress – but please try to dress appropriately. If the weather is cold, layer up, and ensure you have comfortable walking shoes. Enough water is paramount, and nuts or trail mix is bound to keep you going if you know you’ve got a long walk. GPS technology can use up a lot of battery, so it’s important to make sure your device is fully charged before you head off. Remember that you not only have to get to your geocache, you also have to get home. Make sure you tell someone where you are going and what time they could expect you back. While this guide may seem in-depth, there is so much more to be said about geocaching and this is one of the reasons why we love it so much. 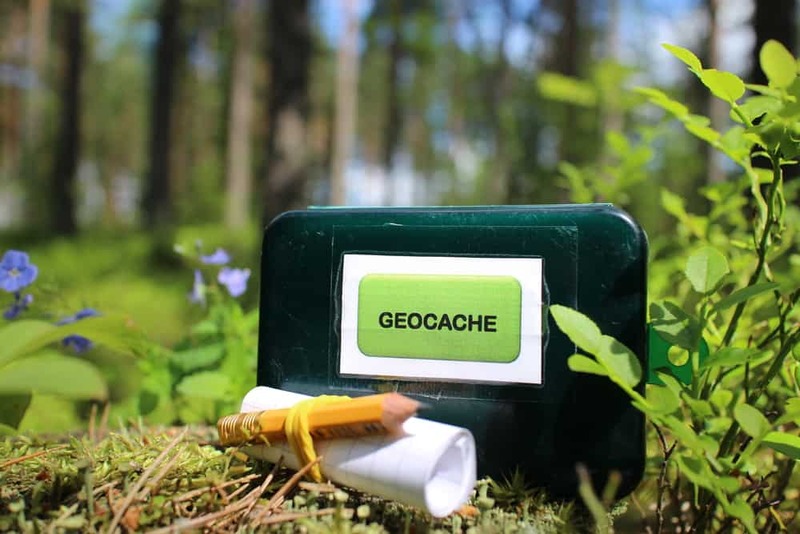 When it comes to geocaching, the adventure never ends, as the geocaching community is constantly coming up with ways to make hunting for treasure more exciting and challenging. Geocaching is a hobby like no other – it requires determination, problem solving and an appreciation of the world around you – give it a go and we promise you won’t look back!